Wanting to spend a romantic Valentine's Day weekend with your sweetheart? Whether you're booking for this year or want to skip the crowds and surprise your date with a reservation for a future getaway, you're in luck. I've been digging through my resources to find accommodations that are as yet unreserved for the special weekend. Check out these neat places all over Arkansas where you can relax, unwind and enjoy quality time for two. Stay in a treehouse on Bull Shoals Lake. Hunter and I stayed a night at the gorgeous Arrowhead Ridge lodge at the Lakeshore Treehouse Resort in Diamond City over spring break. There are now three treehouses at the north end of Scenic Highway Seven, with two more to come. Enjoy great views of the lake and comfortable accommodations including full kitchens, huge decks and -- if you get the Arrowhead Ridge lodge, a double jacuzzi tub. Check out my story. Listen to lions and tigers roar while staying overnight in your own safari lodge at Turpentine Creek Wildlife Refuge near Eureka Springs. That's right, there are actually lodges on the property with the over 100 rescued big cats and bears at this refuge, and you can spend the night on-park where the live. 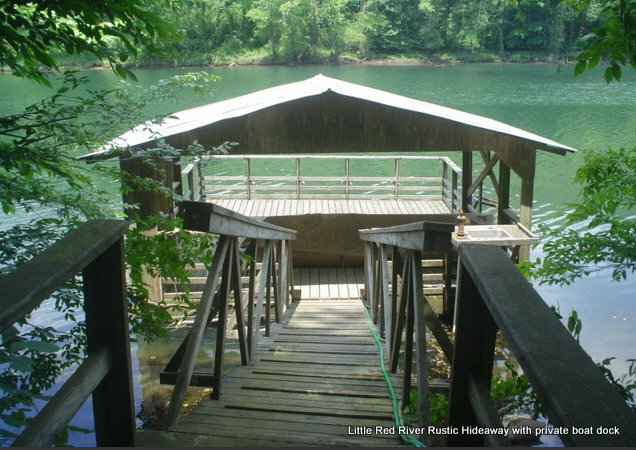 You can spend the weekend trout fishing on the Little Red River at this home with a private dock. 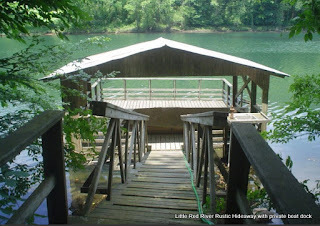 There are a lot of Little Red River and Greers Ferry accommodations available right now. 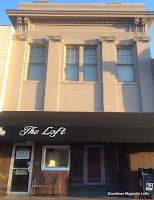 Downtown Magnolia may not be a hideaway as far as being away from the world, but these hidden accommodations above the hustle and bustle of the downtown square are certainly worth a weekend away. 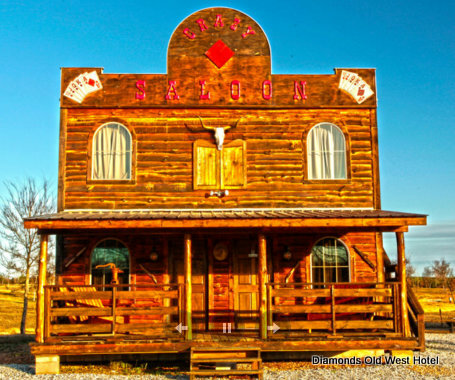 Spend the weekend in a Wild West saloon, or stable, or bank, at Diamonds in Murfreesboro. The wooded cabins built in 2013 are set up like a Western town, and there's plenty of activities to engage in. Love the water? How about a weekend on a houseboat? While this large boat can hold up to 14, it's also available just for two with hot tub, fireplace and unparalleled views of DeGray Lake with Anchors Away Houseboats. Have a plane? Fly off to your own fly fishing destination at Cotter, where you can stay in a home with your very own hangar, no joke! There are still rooms available at the prestigious Inn at the Mill. The Johnson Mill dates back to 1832... the hotel property combines the old country charm of the mill with an updated, contemporary hotel within. A four star experience. This out-of-the-way cabin in the woods not too far from Mena is completely off the grid. 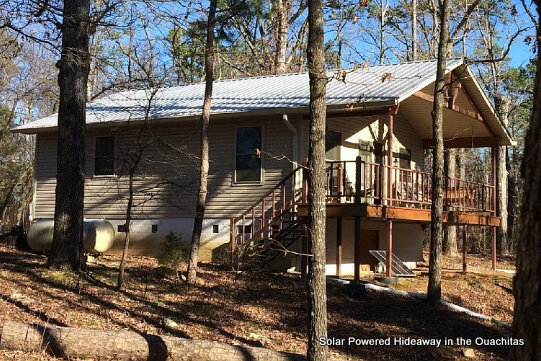 Enjoy being away from everything at this solar-powered pad in the Ouachita Mountains. 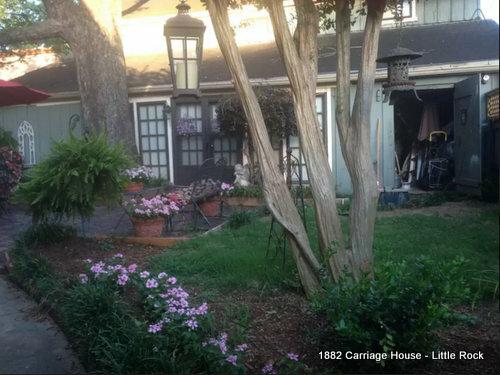 The Kirkwood House is an 1882 carriage house with a secret garden tucked in behind a residence near Little Rock's hot new SoMa District. Enter through a garden and enjoy a relaxing weekend in this two bedroom, two story barn with whirlpool tub, full kitchen and about everything you'll need for your perfect getaway. Pets welcome. How about your own private home on seven acres near Texarkana, with a stocked pond? That's right, you can catch your dinner and enjoy having this 1700 foot home to yourself, complete with a billiards room. 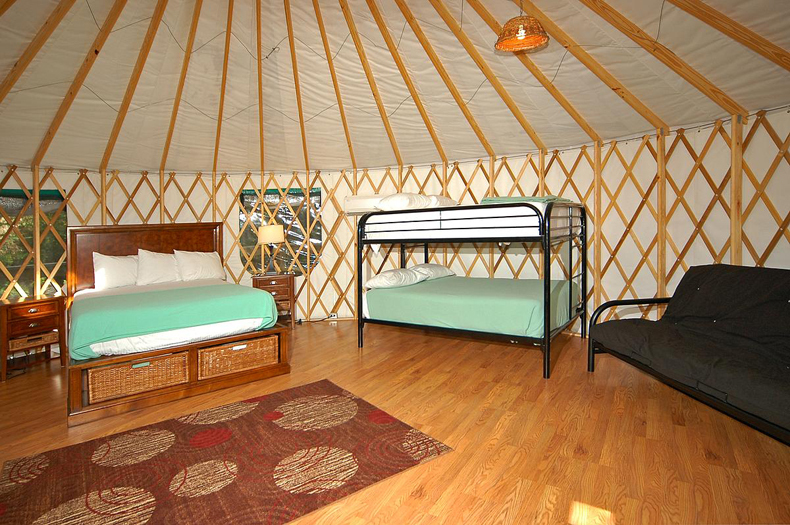 Stay in a yurt on Lake Catherine. Catherine's Landing offers several different sizes of yurt, a round tent that's perfect for "glamping" and enjoying the outdoors. Escape to an English Country Cottage in Mena, where you can enjoy flower gardens on a wooded hillside, a Queen sized bed and a jetted tub, in this 1920s cottage a couple of miles from town. Like steampunk? 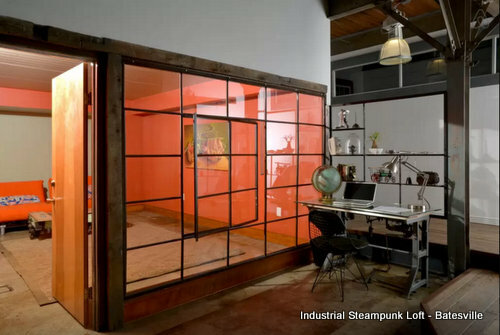 Dig an industrial feel to your temporary dwellings? You need to head to Batesville to check out this austere, sharp-edged loft. Two bedrooms sleep up to five with full kitchen and lots of space. Really want to get away from it all? This three bedroom home ten miles from Ash Flat may be plain, but it's a quarter mile from the nearest neighbor and situated on 125 acres of great hiking mountainland, with plenty of deer and wild turkey to keep you company. 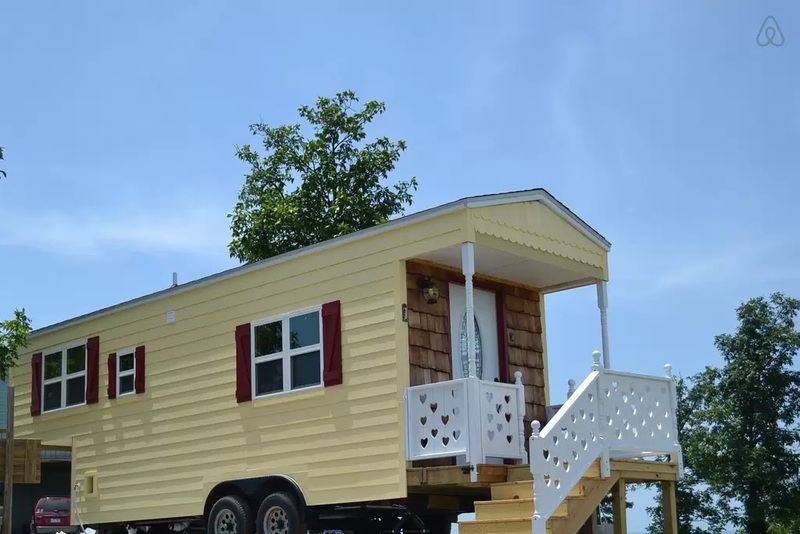 Ever consider a tiny home? Up near Mountain View you can try one on for size. The extraordinary small one bedroom, one bath will just fit two people, and you'll learn whether or not tiny home living is right for you. Like treehouses? You might be interested in this one just 20 feet from the White River in Allison. The home features a queen size bed on the upper level and a full kitchen and living room downstairs. And wait until you get a look at the sink in the bathroom - it's made from a tree trunk! Escape to a simpler time and stay in an authentic, 1960s style mobile home carefully decorated and restored to prime condition. Don't worry, there's also a nearby creek for skinnydipping, if you don't mind the cold. How about having a farm all to yourself? Except the animals, of course. They stay. And you can get your hands as dirty as you wish, at Dogwood Hills Guest Farm near Harriet. 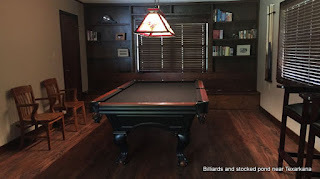 Stay in one of the original Dogpatch USA chalets overlooking the Highway 7 spur at Marble Falls. This preciously restored chalet is a great location for exploring the surrounding Ozark National Forest and the Buffalo National River, or just curling up and enjoying a few days of privacy. 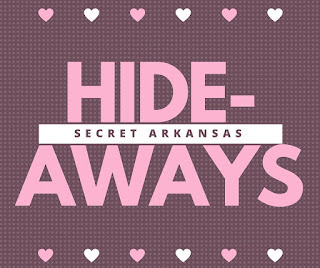 Check out more hideaways below, or click here to see more secret romantic getaways around Arkansas. Wow! Lots of choices. Kirk House carriage house is inviting, but staying in a tree house would be fun, too. In fact, there are lots of places on your lineup that I'm sure I'd enjoy. 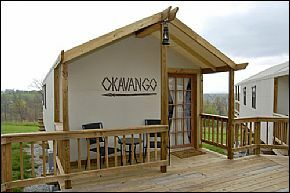 Can also recommend http://www.stonewindretreat.com/ in the hills above Chester, AR and only 25 mins off of US49.